* New BOOSTER Items to ensure hours of fun! Addictive Title based off the same original flash game. 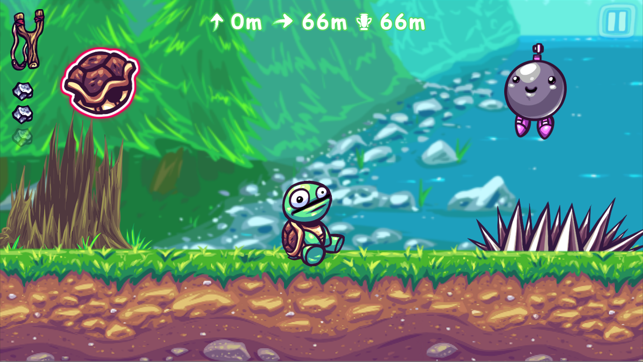 “Toss The Turtle”, is considered one of the pioneer flash games for PC and was widely popular for its time. 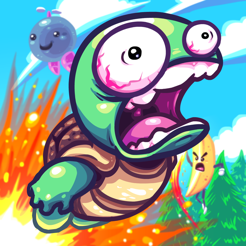 It fell short when the need for flash games was disregarded and it’s seemingly appeared that the developers understood this and left “Toss The Turtle” behind. 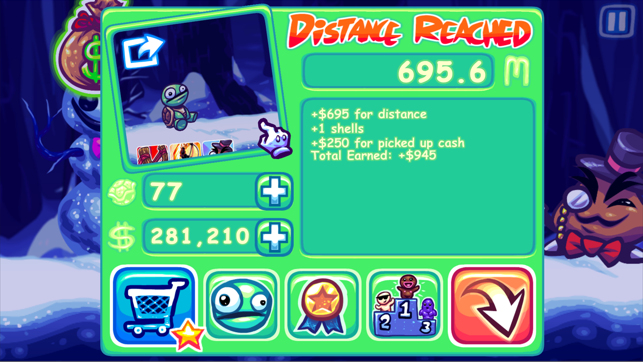 However, we find that they came back for the sequel “Super Toss The Turtle” and it still remains as popular as its predecessor. There are many bugs and minor fixes to be made, but it delivers as an gaming app that will keep you occupied with its crude animations and characters. The game stylizes more robust gameplay with signature characters and abilities to rejuvenate the gaming experience. Eventually, you’ll just find yourself doing the same thing countless amounts of times until you stop playing for good. It’s a askew idea as to why the developers decided to publish this app for phones, but, it works regardless. 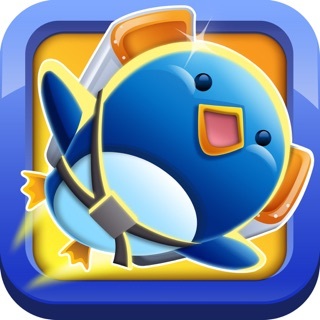 It’s a eye-pleasing app and has content that will keep you busy for at least about five days jus like the first title. The good: The base game is really fun and addicting. I particularly love the prestige (post-game) mode. It is a good reward for beating the game. The different things you can interact with are really fun and creative. 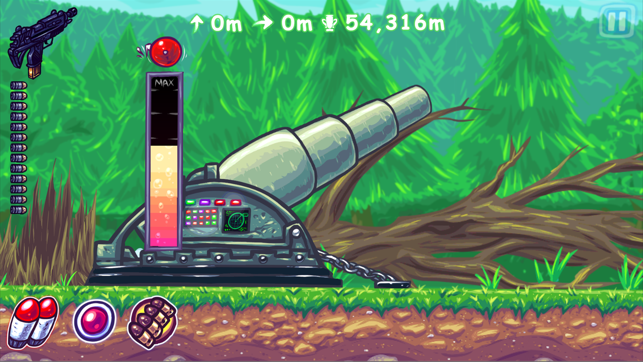 The different cannon, guns, and power-ups, are really good ideas. The bad: The game is updated much too little. The base game is pretty short. It only took me a few days to beat, but that may be because I played a lot. (the game is addicting). My verdict: Get it. If you are on the fence, in my personal opinion the game is extremely rewarding, and fun. What really makes the game spectacular, is the humour. 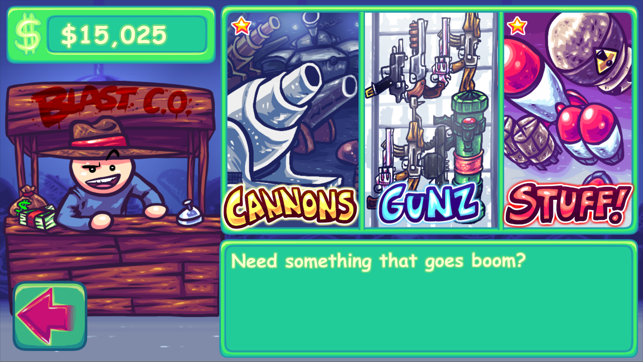 The description for each jet pack, chest bomb, power-up, gun, and cannon, are genuinely funny. Another thing are the characters. I love the many creative character you can toss. My personal favourite is a hulk-like teddy bear. Other characters are oxymorons like that. Get the game! Btw this is my first app review. I used to play this game in high school during class on the computer whenever the teacher wasn’t looking, and I had the hardest time remembering what it was called. 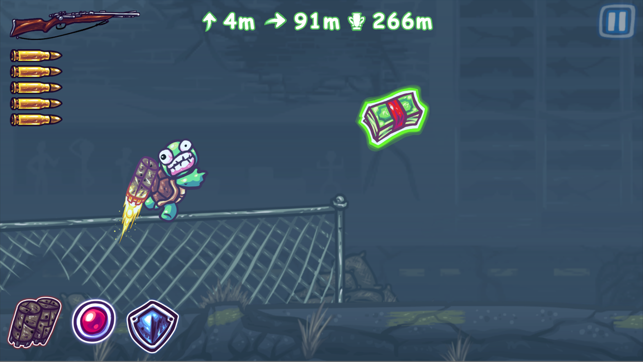 After a while I finally remembered it had to do with a turtle being shot out of a canon. A simple google led me here and I am so glad it did. My friends and I would always compete to see who could go the furthest, while also trying to not make it obvious we were playing a game instead of working. It takes me right back to those good old days so for that I give 5 stars. Love this game for some reason. Haven’t encountered any bugs so far.